“Mommy”, by Molly age 4. 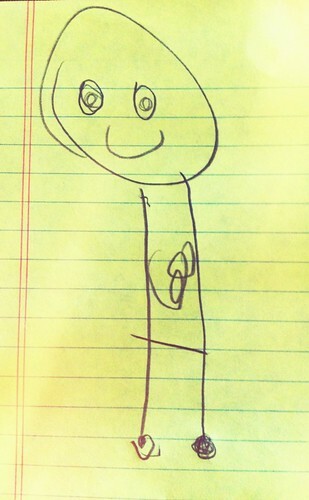 "Mommy", by Molly age 4. – 365, 159, originally uploaded by Fluttering By. Molly brought this drawing today. I, of course, asked who it is. She replied, "You." Looking quite devious if you ask me. 1 Comment on “Mommy”, by Molly age 4.